Scroll down to view our tastiest appetizer recipes! Chunky Pesto Shrimp is a quick appetizer or main dish that is sure to impress everyone at the dinner table. As promised from yesterday when I featured my Pesto 3 Ways, I am back today with a recipe to utilize one of the pestos. I featured Celery Pesto, Broccoli Kale Pesto and Kale Pesto. All three offer ways to use up extra greens from your garden, CSA share or the farmers market. The added benefit of making a lot of pesto is that it can be frozen to use at a later date. Chunky Pesto Shrimp starts with fresh shrimp that is sauteed in butter and olive oil and is tossed with pesto. I used Kale Pesto for this recipe and I only pulsed the pesto a couple of times to leave it more chunky. 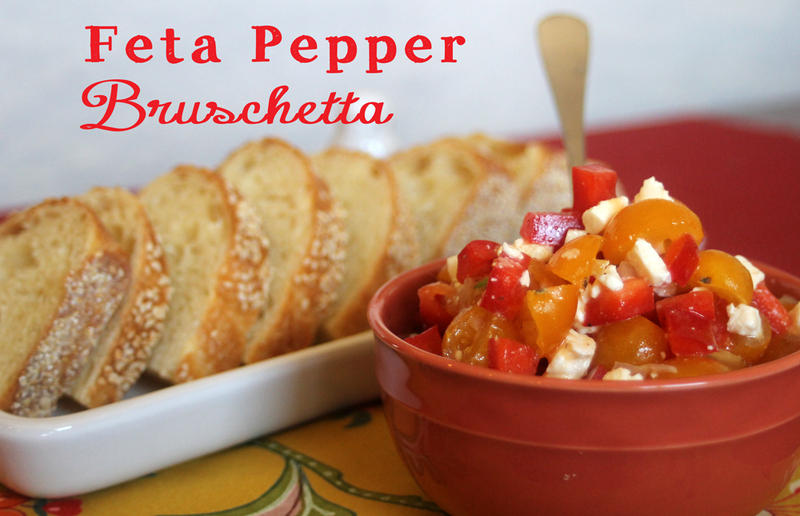 Feel free to serve this as an appetizer or as a main dish, either way it will be a big hit. If serving it as an appetizer, I like to serve it with crusty bread. If serving this as a main dish serve it on top of pasta or rice (the crusty bread works great here too). Rinse the shrimp under water. Place the shrimp on paper towel and pat dry. In a large sauce pan, over medium high heat, add the olive oil and butter. Once melted, place the shrimp in the pan, making sure that the shrimp is not touching each other. Cook for 1 1/2 minutes, then turn the shrimp over. Cook until the other side of the shrimp turns pink. Add the pesto and stir to combine. Remove from the heat and serve immediately. Add shrimp to the pan with the olive oil & butter in it, lightly salt and pepper the shrimp. Turn the shrimp over when it turns pink on one side. I love how the pesto clings to the shrimp. You can use what ever pesto you like.